Laura Ingalls Wilder Days is a family-oriented event featuring arts & educational entertainment based on the early American pioneer experience of storybook author Laura Ingalls Wilder. It's held annually (the second full weekend in September) in the village and surrounding hillsides of her birthplace - Pepin, Wisconsin. Next year our Laura Days festival will be held on September 14 & 15, 2019. Keep checking this website as we will be publishing details as they become available. In addition, we'll be adding photos periodically. To download and print your own 8.5" X 11" color poster, click the link. Author Laura Ingalls Wilder was born in 1867 in the wooded bluffs above Pepin, Wisconsin. The humble log cabin was the setting for Little House in the Big Woods, the first in her series of beloved stories featuring the adventures of Laura & her family as they traveled the west when she & America were young together. These classic works of children's literature have been translated into more than forty languages worldwide. ​Readers of all ages still enjoy Laura’s tales of a family’s simple joy & elemental struggle as they worked together to build a life on the frontier. 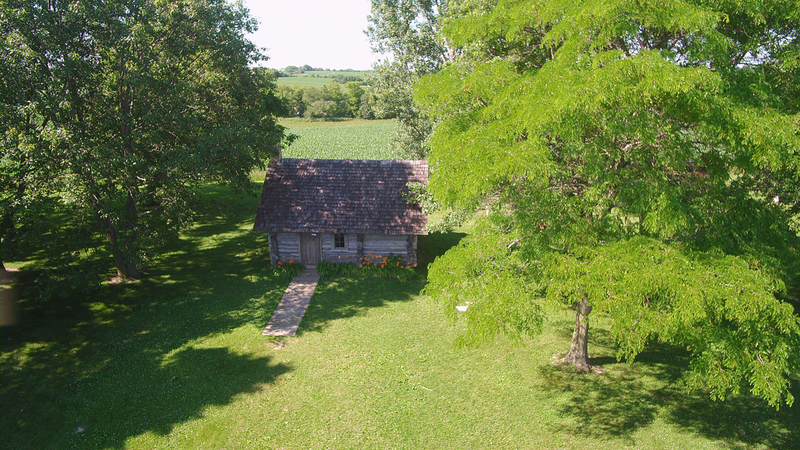 A reconstruction of the Little House in the Big Woods, built on land owned by Charles & Caroline Ingalls (Pa & Ma) is located seven miles north of Pepin on County Road CC. Thank you so much for your support of Laura Days in Pepin, Wisconsin.